The Coloplast SenSura 1-Piece Drainable Pouch features a double layer adhesive for skin protection and EasiClose Wide outlet making it easy to empty. Choose from Flat or Convex Light Barriers with openings that are custom cut or pre-cut to work with a variety of stoma sizes and shapes. 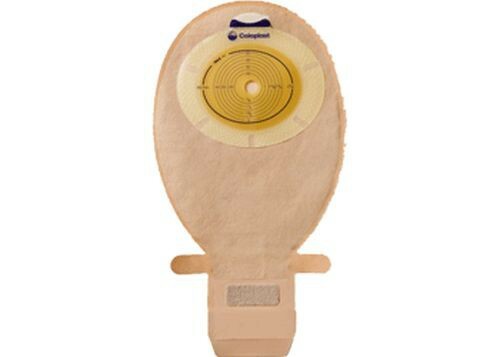 The Convex Light barrier works with difficult stoma shapes. The convexity is ideal for stomas that are flush, retracted or located in a skin fold. 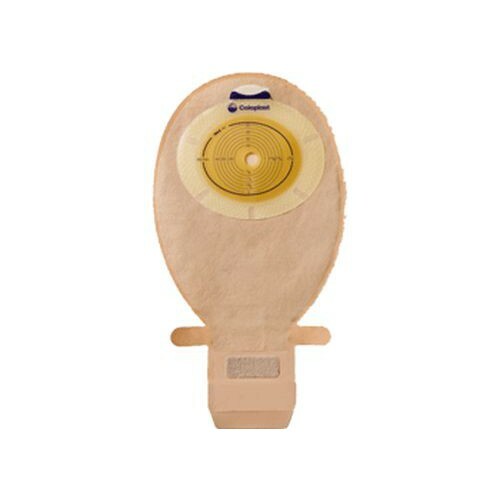 The oval convex shape applies light pressure on the peristomal skin so that the stoma can protrude to reduce the possibility of leakage. Individuals with a sensitive stoma will find the 1-Piece Drainable Pouch to be a good fit because the stoma is left alone until the entire appliance is removed for changing. The double-layer adhesive also protects the surrounding skin from stoma output by absorbing excess moisture to keep skin healthy. Draining the pouch is made even easier than before because of its wide EasiClose outlet that's 1/2-inch wider than most outlets. After draining, simply folds over and secure using the Velcro closure. Another important feature of the SenSura line is the integrated filter that's necessary in neutralizing odor and preventing ballooning from gas buildup. Sensura 1-Piece Drainable Pouch with EasiClose Wide Outlet also comes in transparent or opaque pouches in a box of 10 or 20 pouches. You may want to purchase Brava Lubricating Deodorant as another layer of odor protection in addition to making the pouch easier to empty. I wasn't pleased with this bag at all,multiple leaks and very poor seal. I've tried one and two pieces, this is the best one and will stick with it until the reversal takes place!